Media is abuzz with news of the 2017 North American total solar eclipse. While the most popular topic currently may be 'Where are you going to watch the eclipse? ', Āyurveda and yoga's sister science, Jyotish (Vedic astrology) would recommend a different approach to occurrences of solar or lunar eclipse. Eclipses are deemed powerful astrological occurrences, in which one of the luminaries of the sky, the sun or moon, is occluded. The Sun (Surya) represents the soul, spirituality, and vitality in Jyotish. This darkening of the light, exposes the shadow not only of the luminous body, but also of collective and individual consciousness. An eclipse of the sun calls us inward toward the subtle realm. For this reason, rather than gazing at the eclipse, Jyotish recommends using this time to engage in spiritual practice. Due to decreased digestive power (agni), traditionally one would fast or eat lightly for approximately 12 hours prior to the eclipse. During the time of the eclipse it is recommended one stay inside and engage in a practice of meditation, and specifically mantra meditation. Surya Gayatri or other mantras to the sun, as well as your own personal mantra are all appropriate practices during this time. If you don't know Surya Gayrtri or have a mantra you're working with, 'Om' or 'So Hum' are appropriate practices. As emotions, positive and negative, may be heightened during an eclipse, going inward creates an opportunity to integrate these strong emotions rather than react to them. The shadow nature of an eclipse will make evident the buried, disowned, and suppressed parts of ourselves that are ready to be acknowledged and worked with. Eclipses mark beginnings and endings of cycles, so practice mindfulness in what you're intending to birth or let come to an end. 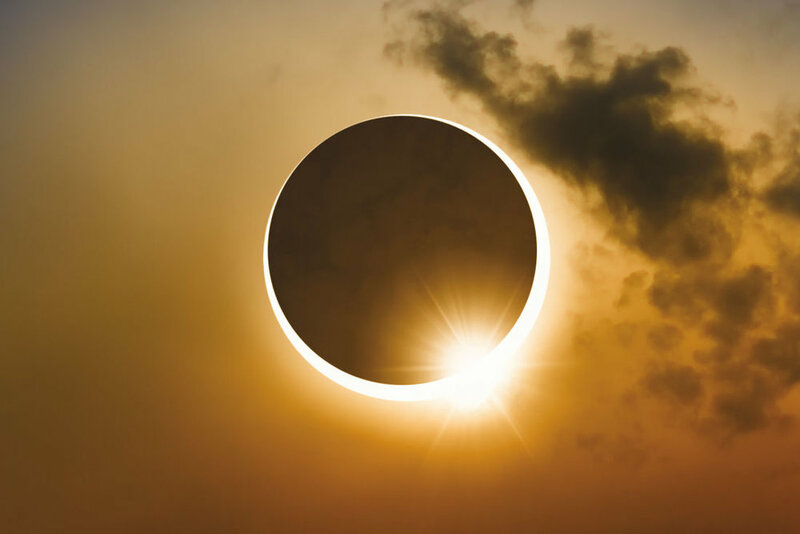 The August 21, 2017 solar eclipse also occurs during a period of Mercury retrograde, so it's advisable to be extremely careful with communication during this time as well. So, if you're wanting to use this astrological and astronomical occurrence to further your practice, plan to use this shadow time to go inward. Stay in, get still, and mantra up... Let me know about your eclipse in the comments below.